Nilfisk industrial vacuum solutions help automatic machine manufacturers achieve more productivity, high product quality and operator safety. 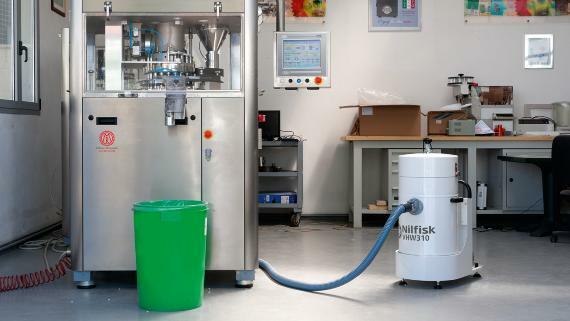 Nilfisk products help machine manufacturers to recover and transfer powder in total safety. Choosing Nilfisk Industrial Vacuum Solutions means choosing customised products built for customers’ specific needs plus access to direct technical service worldwide. Nilfisk pneumatic conveyors move powder and granules from sacks, big bags or other containers to the required location in the selected quantities and within the desired time. 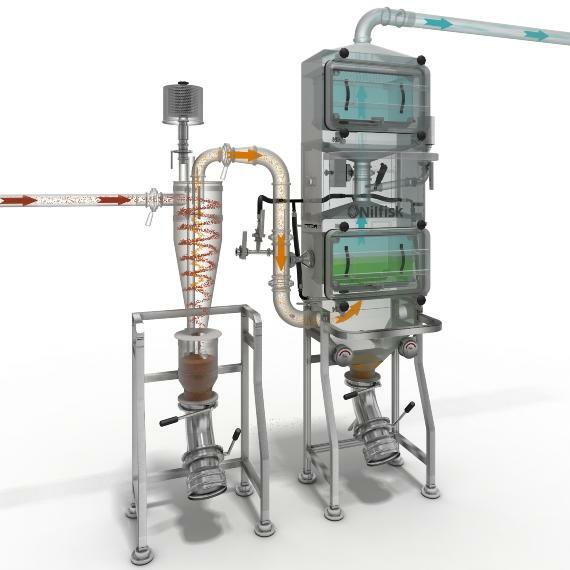 The product conveying process takes place in hygienic conditions, protecting both the environment and the operator’s health. 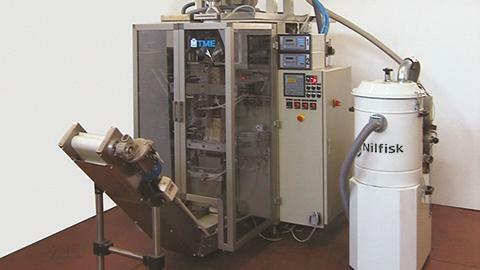 Automatic machines require a constant vacuum to avoid contamination of the product from residual waste. 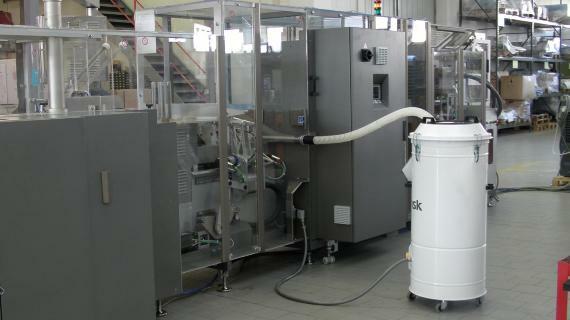 Powerful and silent, Nilfisk industrial vacuums can be integrated into process machines. Fixed or mobile, and conforming to GMPs, they have a smooth design without angles or stagnant pockets to avoid any dust residuals. You can choose between different filtration systems, including layer star-shaped filters, HEPA/ULPA absolute filters, or absolute filters with Bag-In Bag-Out system. The R series is designed for packaging applications. Paper or plastic trims produced by the packaging machine have to be collected continuously, so the trim is extracted and recovered in the nylon liner. The motor is positioned so the nylon liner can be spread out and all product vacuumed is neatly compacted on the bottom, optimising the capacity of the container. To empty the vacuum, just open the lid and remove the nylon liner. 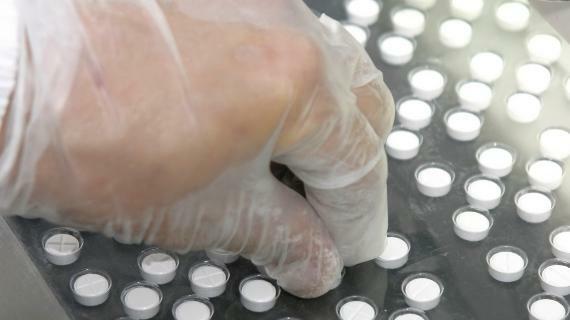 The recovery of pharmaceutical active compounds requires special devices and features to protect the operator from contact with them. For this application, Nilfisk has designed a high-containment filter unit (up to OEB5), in several versions, from the standard to the most customised.